"The Tahoe PPV's versatility and low lifecycle cost have made it a leader among police agencies," said Ed Peper, U.S. vice president, Fleet and Commercial Sales. "The enhancements to the 2015 model have further refined an already great vehicle to give police officers the performance, speed and safety they need to help keep their communities safe." The Tahoe PPV's standard EcoTec3 5.3L V-8 features state-of-the-art technologies, including direct injection, cylinder deactivation, continuously variable valve timing and an advanced combustion system, designed to make the most of power, torque and efficiency across a broad range of operating conditions. The 2015 Tahoe PPV was developed to deliver a more controlled ride with improved steering and braking responsiveness compared to previous models. A strong, fully boxed, perimeter frame supports payload and trailering capability that body-frame-integral SUVs can't match. With the addition of electric power steering, the Tahoe has precisely tuned responsiveness needed in pursuit situations. The increased payload allows law enforcement to carry all equipment that they may need for any job. 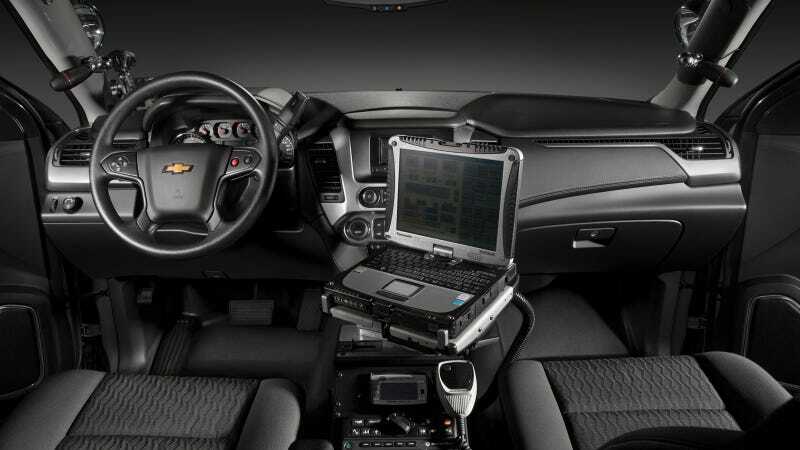 The redesigned interior gives officers 360 degrees of safety with new standard features, including rear park assist, backup camera and optional adjustable pedals, which personalize the vehicle to each driver. An optional Driver Alert Package includes lane departure warning, forward collision alert and Chevrolet's Safety Alert seat. The new Tahoe will be built at GM's Arlington, Texas assembly plant. The 2WD pursuit and 4WD special service models will be available for order in the first quarter and the 4WD pursuit vehicle in the second quarter of 2014.